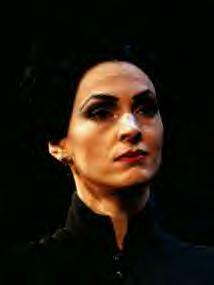 This is an exerpt from the RPG in which I roleplay as Madame Giry. The RPG, called "His Light Among the Shadows", is part of a group of 5 Phantom RPG's called The Cellar Series, which can be found here. This post occurs ay a meeting between Giry and the Phantom during which she realizes who he once was. Somewhat based on the Lloyd Webber version of the tale. As he spoke I noticed his forced relaxation. It was apparent that trust did not come easily to him. Yet, he seemed to believe in me, to have faith that I could be his confidante in the world he seemed to fear so much. Divulging his past appeared to have a soothing effect upon him, as if he were relieving himself of a great burden; yet at the same time something of a hunted look lingered in his extraordinary mismatched eyes, as though he feared this sharing of secrets could lead to his downfall. As he touched his bone-white mask a memory stirred in my mind... a faint shadow of the past made itself known to me once more. I again contemplated those brilliant eyes, one blue as the summer sky, the other a vibrant green. I had seen them before.... I knew this man. The eyes, the windows to the soul, could betray identity even if the rest of the face and body were obscured. I remembered a time, when I was young, a child, that I had gone with Maman and Papa to a traveling fair outside of Paris. Recollections of brilliant white horses, dazzlingly-costumed performers, and amusing clowns still danced through my mind. But a more sinister, darker presence lingered amongst these joyous entertainments. In a corner of the fair existed a ratty, somewhat grotesque establishment - the sideshow. I had become separated from my parents as I had wandered through the fair and found myself standing in front of a strange and terrible tent. Curiosities! Freaks! Monstrosities! Soiled banners proclaimed as a thin, sickly-looking old man beckoned, collecting coins from patrons. Patrons; people seeking the outrageous, the frightening... the memorable. Being the impressionable young girl I was, I found myself handing over a coin to the greedy ticketmaster and swept along through the grime and crowds into the cavern within the tent. Such terrible things I saw! Such wretched unfortunates! A man with no arms or legs, a woman born with only one eye, a twisted hunchbacked dwarf! All of them, sitting behind iron bars, like prisoners. Their vacant expressions told me that their minds and souls were free and only their bodies interred within these cages. And then I arrived at the last cage, far at the end of the tent. Here a great crowd had gathered and a hideous-looking obese man bearing a leather bull whip stood before a cage sealed off from view by a decrepit red drape. The sign above read "The Living Corpse." "Ladies and Gentlemen!" The man cried out in a thick voice that reminded me of crumbling stones, "I am proud to present to you, a creature so angelic and yet so terrible, that it could only come from Satan. He has the voice of one of God's archangels, but his appearance...." here he paused and leered at the crowd, "his face belongs to hell. I give you, The Living Corpse!" He drew back the curtain and I gasped at the sight that met my eyes. A boy, not much older than myself, was chained to the wall of the cage. He was so pale, so dangerously thin that I at once thought he must be dead. His back was to us, and I could make out the faint stains of bloody slashes across his tattered shirt. A wave of extreme pity and anger at once swept through me. He was only a boy! Only a child! The fat man reached through the bars of the cage and prodded the boy with the heavy whip. "Sing!" he hissed commandingly. I discerned a small shudder in the boy's lean shoulders and then something happened. I couldn't explain it or understand it at first, but then I knew. The boy had begun to sing. Softly, the most exquisite voice raised in the melody and words of a Kyrie reached my ears. The boisterous crowd fell silent as the magical sound crept through it, entwining around each person like a potent perfume or suffocating jungle vines. No angel, not even Michael nor Gabriel, could have produced a sweeter, more sorrowful lament. I felt tears in my eyes, tears of anguish, elation, compassion.... I don't know what else. And then the song ended, the magic ceased, and reality descended once more. The people around me remained silent and I noted that they too, had been deeply shaken by the boy's song. That hateful man shattered the awed peace with his awful voice. "You see, ladies and gentlemen! He sings like a messenger of the heavens, but!" Here he pulled violently upon a chain that trailed from his hand through the bars of the cage and around the boy's neck. "You now see his true nature!" At his motion the boy was forced to turn around and face the crowd and a great cry arose from each throat, ranging from shrieks of terror to desperate laughter. I myself felt my heart accelerate and my fists clench in horror. I now knew why he was called the Living Corpse. His face was one of a dead child. A face so thin, so pale.... there was no nose but instead a dark cavity where one should have been. His lips were thin and pulled back in a skull-like grimace. Throughout his pallid skin I could make out a faint tracery of veins and tendons. But it was his eyes... set deep in their sockets, that riveted me to his hateful gaze. They glowed, one blue, one green, and radiated extreme rage, sorrow, and again... hatred for all of us. I knew that he wished he could kill each person in that tent, to revenge himself upon us in a terrible way. Suddenly his gaze settled upon me, for I hadn't moved, I hadn't screamed, only looking upon him with intense pity and subsiding fear. I held his regard for a few moments and then I became overwhelmed by the pain I saw there. He was only a child.... and so was I. It was then that I turned and ran, away from that terrible place and all it represented. Those eyes... they haunted me for years afterwards, often invading my dreams and nightmares. "The Living Corpse..." I breathed in quiet awe.